For most folks, especially those buying their first home or condo, this will be the biggest investment they ever make in their lifetime. It doesn’t matter if you are buying a home or selling your home, the key to success is being able to maximize your investment. One of the most important decisions you can make right out the gate is choosing the right real estate agent. The right Realtor can make all the difference in how fast you sell or buy a house, the price you wind up paying, and how painless the entire process is. These six tips will go a long way in getting you off to a great start. If you want a job done right, you want to be working with the experts in that field. The same can be said for the real estate market. To start, it is important to understand the difference between a real estate agent and a Realtor. These terms tend to be used interchangeably, so it is common for many people to get them confused. These terms are used to identify real estate professionals who are members of the National Association of Realtors (NAR). This means they subscribe to a very strict code of realty ethics that in many cases will, in fact, go above rea state laws. Just as experience in any skilled profession gives that individual an advantage over someone just learning that skill, you want an experienced Realtor working with you when you are buying or selling your home. This is not the time to hire someone who you get along with and are willing to let things slide as they adjust to the learning curve. There are too many things that can go wrong in the home buying and selling process to leave it up to someone lacking experience. The very first question that you should be asking a potential Realtor is how long they have worked in this area and how long they have been licensed. Long before you are meeting with Realtors to consider hiring them, you should have already narrowed the search based on their qualifications, experience, and location. Don’t make your decision just yet, have at least four potential candidates that you are still considering, and set up interviews to meet with them and discuss your interest. One of the best ways to get a peek into the inner-workings of any Realtor is to simply show up at one of their open houses and watch how they conduct themselves when under the spotlight. Don’t state your intentions, just act like you’re curious about the house and not ready to make a commitment yet. If they’re very cordial and accommodating, you’ll know right away. If they are too busy on Facebook to show you around, imagine how they will be when you hire them. We use the term local to describe the experience the Realtor has, not so much the fact they live within a certain amount of miles of the area you are looking to buy or sell. 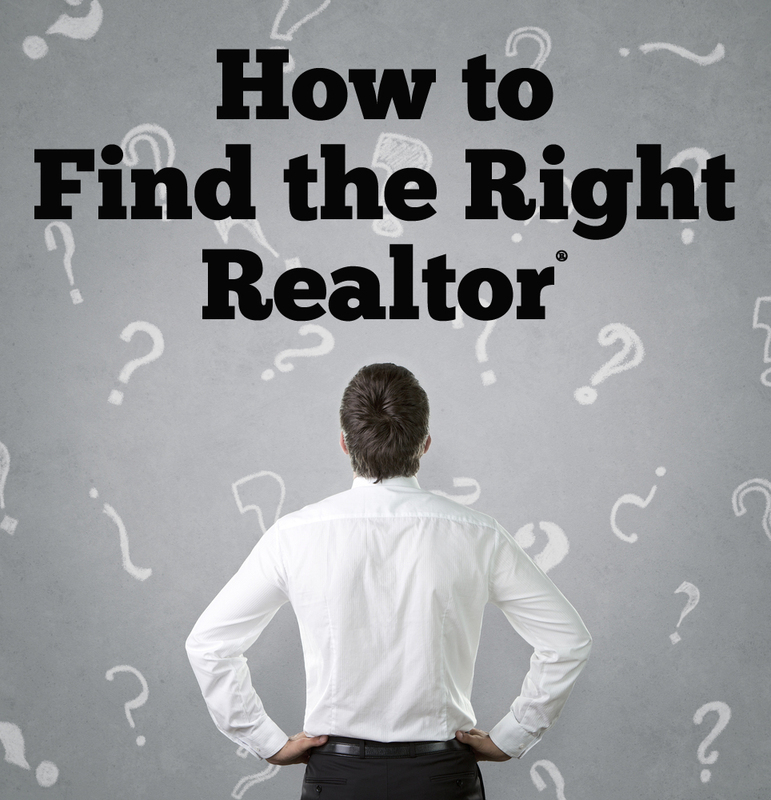 The local Realtor is more familiar with the inner workings of the area, more so than a broker who travels the state looking to work as many transactions as possible to support themselves. When you are still interviewing potential Realtors, be sure to ask them about the houses they have listed or sold this year in this area. If you are selling your house, the perfect realtor will be able to easily speak with potential buyers when they have questions about local schools, activities, or growth. On the same hand, if you are buying a home, your realtor should be in the position to provide you with details on taxes, schools, the community, and other facts you might be interested in learning. One of the biggest issues that occur between realtors and clients is the tension of not knowing what to expect next when things are slow. For example, your realtor is out looking for properties for you, but only reports in a few times a week when you think they should be following up nightly with information. To eliminate any tension down the line, even before you sign a contract with a realtor, there should be a plan in place that helps you to understand what your realtor is doing even when they are not reporting back every five minutes. Your realtor will advise you on what they will be doing, when they will be checking in, and what is the best way to reach them. While choosing a realtor is not like going on a first date, it does have some of the same components that could work in your favor. Depending on the market, this may be a very long relationship you are entering into. Now that you have a small list of potential Realtors, choose someone you get along with, someone your personality connects with. If you trust the person, you like the person, and you already get along, it will go a very long way in ensuring a smooth transaction down the road, however long that may be. As you can see, the right real estate agent can make or break the deal, so it is worth even second you spend at the start researching their qualifications and personality too. Select the right Realtor, and this real estate transaction will go without major incidents and get you where you need to be in the least amount of time.